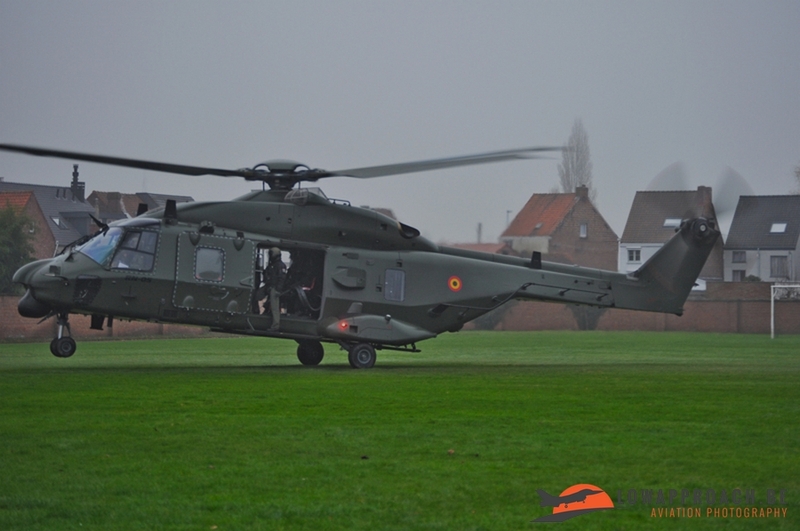 On 22 December an event, organized by the Belgian military, took place at a technical school in Eeklo. 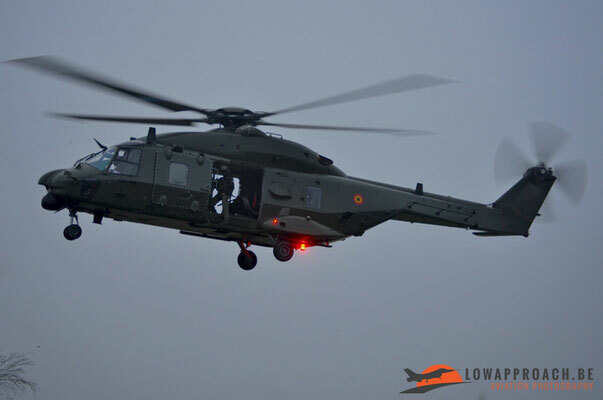 The event was called “We fly to your dream”. 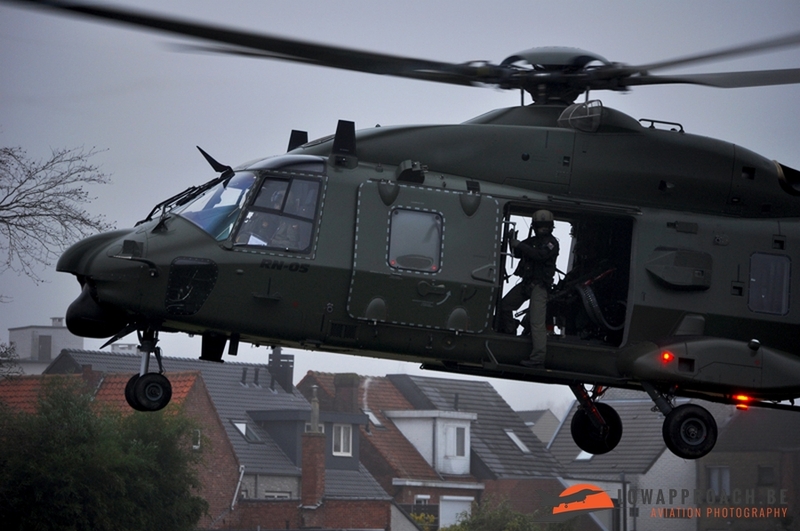 The purpose for this event is to let the youngsters see what kind of professions there are in the military. To give the youngsters a really visual image about the kind of equipment that the soldiers use, the organizers from this event brought some equipment and vehicles to the event. For the air force part they even managed to present the newest helicopter, the NH-90TTH, to the youngsters! 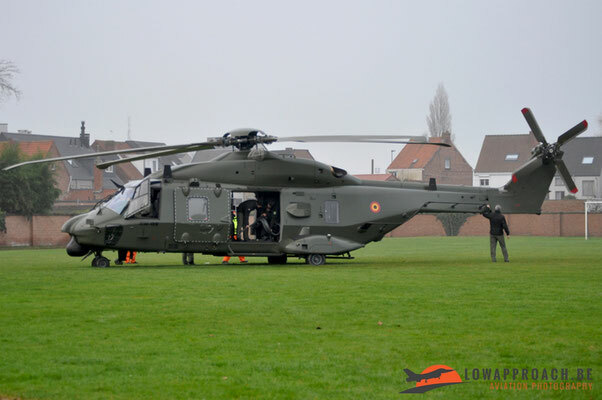 This helicopter landed on the nearby football field. 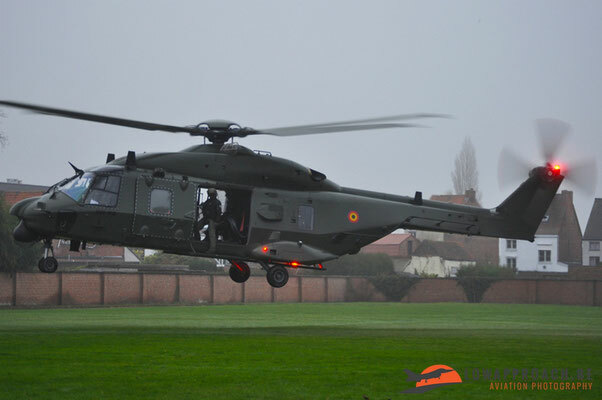 Normally it was also planned that a Sea King would participate at this event, but sadly, due to the intense fog they had to cancel their participation. 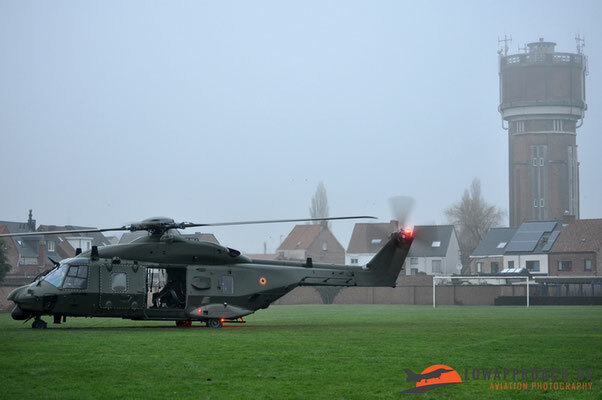 They do made the trip to Eeklo, but because of the thick fog that surrounded the football field they didn’t managed to land the helicopter. Even after 3 attempts to do so, so they had to return back to their home base at Coxyde. The weather was so bad that the crew from the NH-90 told the youngsters that the meteo declared it as code red.